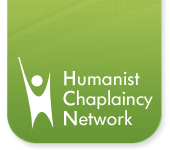 The Humanist Chaplaincy Network provides support, networking and training to people volunteering and working as Humanist Chaplains across the world. A Humanist Chaplain offers pastoral care for anyone who doesn't subscribe to a particular religion. If you need a friendly ear to share a problem with or need advice from a humanist perspective, why not contact your local Humanist Chaplain? Are you a Humanist? Do you have a little spare time and a desire to help people? Then why not volunteer as a Humanist Chaplain. © A Chris Worfolk Foundation Initiative.